This is reference to our earlier mail regarding M.K. 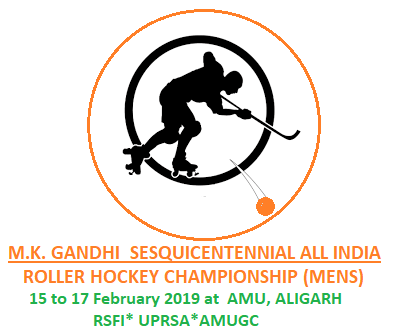 Gandhi Sesquicentennial All India Roller Hockey Championship (MENS) will be held from 15th to 17th February 2019 at AMU, Aligarh. due to same unavoidable circumstances (Students Conflict) in Aligarh Muslim University today, the roller hockey championship is postponed to further information. we are announce new date as soon possible. Venue: Outdoor venue size: 25 mtrs. x 22 mtrs, Surface: Smooth Kota stone with 1 meter barricade all around. Participation eligibility and Fees: Only RSFI affiliated State-U.T. Units are eligible to participate in the said tournament. Each Unit can send 1 senior men’s team comprising 12 players, 1 Manager and 1 Coach. The team must have at-least 4 players and 2 Goalkeepers. The age group will be above 12 Men with age determination to be calculated as on 31.12.2019. 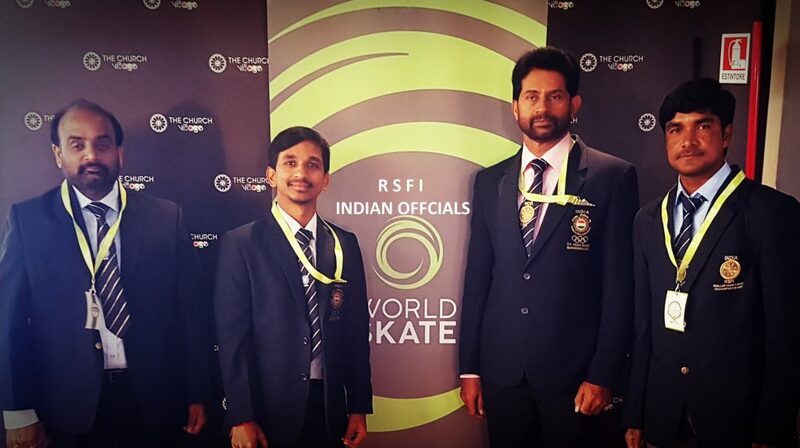 There will be no entry fees for the tournament though all participants are to register with R.S.F.I. as per rules. Participating Teams: Complimentary accommodation will be provided by the organisors to the participating teams from 14th 10 a.m. till 18th February 12 noon. Subsidised Break Fast, Lunch and Dinner will be arranged for the teams at the lodging/ the venue and a canteen will be arranged at the venue offering subsidized refreshments, juices and soft drinks during the events. To and fro Transport from Railway Station/ bus Stand will be provided to participating teams if 2 days prior intimation is given by teams. Rules: RSFI Rules, Regulations and Guidelines will be followed for the tournament. 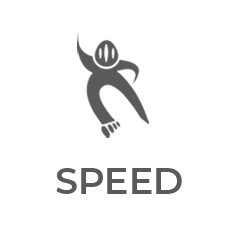 Medals/Certificates/Trophies: to winning teams and participation certificates to rest of the teams. 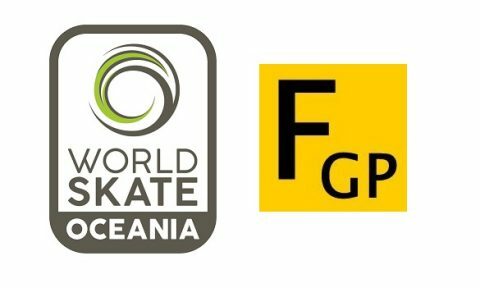 Entry: The participating teams have to send team list by email to amugamessecretary@gmail.com with copy to rsfi@indiaskate.com. The Original documents i.e.Skaters Annual Registration Form and Photo copy of Date of Birth Certificate shall be submitted on 14.02.2019 at the venue of the Tournament. Please treat this most urgent and do the needful immediately.